On 9 April 2019 ERIGrid held a webinar on Co-Simulation based Assessment Methods and their usage in the project. Development of necessary interfaces, couplings, test systems etc. You can find all slides from the webinar presentations here. 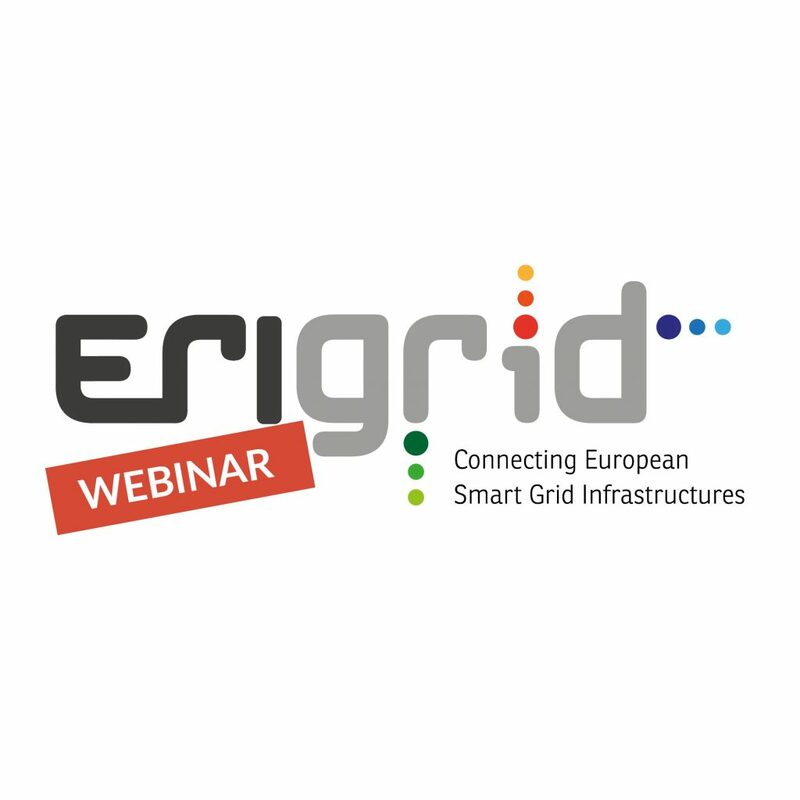 On 23 March 2018 ERIGrid held a webinar on ICT standards for Smart Grids and their usage in the project. On 5 December 2017 ERIGrid held a webinar on power hardware in the loop (PHIL) simulation showcasing best practices and experiences in the project. You can find all slides from the webinar presentations here and the demo of hardware in the loop experiments here. OpSim is a test and simulation environment with applications ranging from developing prototype controllers to testing operative control software in the smart grid domain. 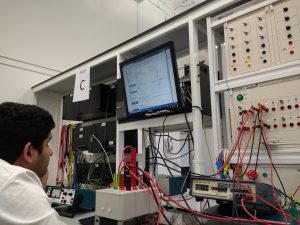 Created by Fraunhofer IWES and University of Kassel, OpSim enables users to connect their software to simulated power systems, or test it in conjunction with other software. The power grid simulator of OpSim is capable of emulating large power systems with multiple voltage levels and substantial amounts of generators, storages and loads. 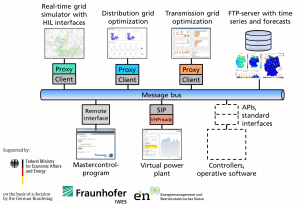 The core of OpSim is a flexible message bus architecture; it allows arbitrary co-simulations in which power system simulators, controllers and operative control software can be coupled together. On 27-31 August 2018 the Technical University of Denmark will be hosting the ERIGrid Summer School on methods for validation of distributed control strategies via implementation in the physical laboratory. Coordination and control are critical in the development of future energy networks. However, many promising concepts fail to bridge the gap from theory to practical application. Experience from actual implementation can be crucial in focusing your research and development. Implementation under realistic conditions is crucial for maturing the solutions as well as convincing further stakeholders. 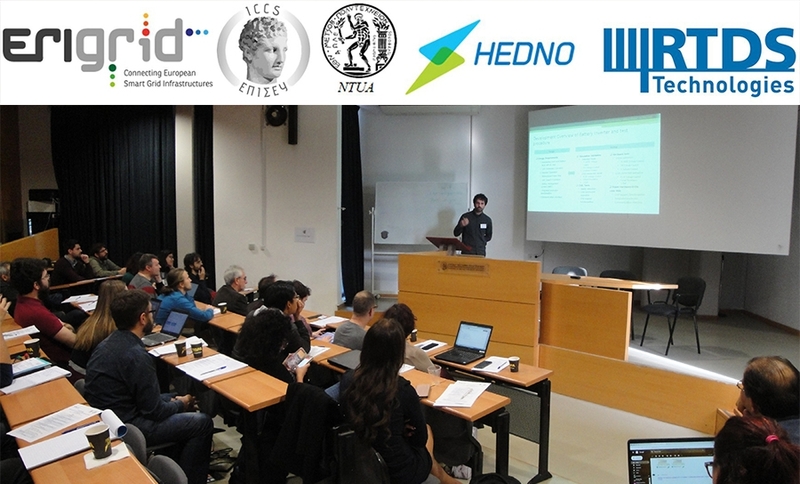 This summer school focuses on methods for validation of distributed control strategies via implementation in the physical laboratory – SYSLAB, one of the ERIGrid laboratories provided for free access. You can find the preliminary programme here and register here. Measurements for smart grid applications are sometimes overlooked and assumed to give the correct answer. On 23-25 January 2018 the University of Strathclyde hosted the 1st ERIGrid Winter School “Metrology for Smart Grid Applications and HIL Testing”. Organised in collaboration with MEAN4SG and the National Physics Laboratory (NPL), the school provided PhD students and young researchers with a mixture of lectures, practical laboratory interactions with ongoing research projects, and a 1-day hands-on laboratory session. A series of lectures given as part of the winter school focus on the awareness of the measurement accuracy and also provide an introduction into accurate measurement techniques, such as phasor measurement units (PMU), and the testing of the accuracy of such devices. Furthermore, measurement of uncertainty is a relevant aspect to consider when developing simulation models and performing measurements. Remote access to the laboratories will be offered to external users in the next months. Laboratory education in the power systems domain is usually performed with software simulations and more rarely with small hardware setups with limited capabilities (contrary to other domains e.g. electric machines). On 10 October 2018, RTDS European Users’ Group Meeting took place in Genk (BE), where Panos Kotsampopoulos of NTUA talked about the advantages of PHIL and CHIL simulation for education, research and testing. A series of lectures given during the 1st ERIGrid Winter School at the University of Strathclyde focus on the awareness of the measurement accuracy and also provide an introduction into accurate measurement techniques, such as phasor measurement units (PMU), and the testing of the accuracy of such devices. 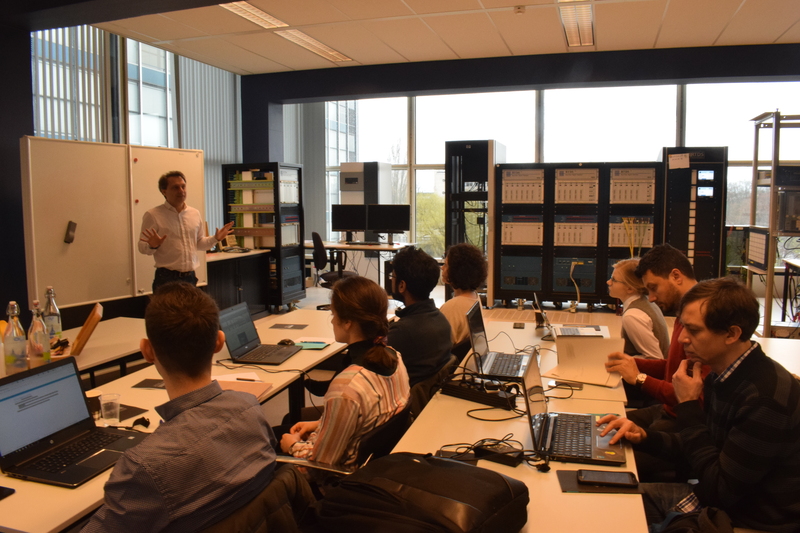 The ERIGrid project explores the potential of co-simulation based on the Functional Mock-up Interface (FMI) standard for smart grids research. This presentation – “FMI – Functional Mock-up Interface. Specification and Applications.” by E. Widl (AIT) – provides a brief overview of the FMI specification and some of the FMI-compliant tools used in ERIGrid. The following two documents present the Mosaik co-simulation framework. The main goal of Mosaik is to couple existing simulators in a common environment in order to perform a coordinated simulation of a given (smart grid) scenario. The holistic test specification method was developed in ERIGrid to structure and guide the ERIGrid holistic validation approach. This test description method has been adopted into several H2020 projects. The lecture here is based on lectures held at a summer school and ordinary teaching at the Technical University of Denmark. The Virtual Lab is an online educational simulation tool that mimics the operation of the actual laboratory microgrid of ICCS-NTUA. A mathematical model of the laboratory microgrid has been developed along with a friendly Graphical User Interface. The tool aims to familiarize the user with two aspects of Smart Grids through two distinct experiments: Voltage Control and Microgrid Operation. The main objectives of this experiment are to demonstrate the voltage rise issue that can occur in distribution networks, due to the high production of Distributed Generation (DG) (mainly Photovolta-ics), but also the ancillary services that modern DG inverters offer in order to mitigate the afore-mentioned voltage rise. 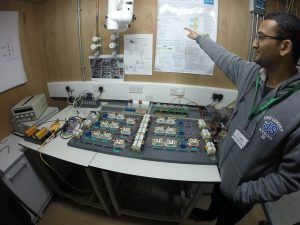 The objective of the second experiment is to familiarize the user with the concept of microgrids in both grid-connected and islanded operating modes. (Please insert your email, choose a password and then press “sign up”. A verification email will be sent to your inbox. Follow the verification link and then you can login with your email and password). More information, including suggestions on how to use the tool, can be found in this readme. HEMS Scenario Build Up: This Jupyter notebook introduces how to build up a Home Energy Management System (HEMS) simulation scenario using mosaik for co-simulation. The notebook introduces gradually more complexity to the simulation. DoE Exercises: This file contains a series of notebooks showing examples of Design of Experiments (DoE). They use the HEMS simulation in mosaik as a test case, and showcase simple and advanced DoE concepts, such as one-way ANOVA and meta-modelling using non-parametric methods. Mosaik Jupyter Notebook demos: A set of Jupyter Notebooks that gradually set up a more and more complex power system co-simulation. Requires mosaik co-simulation demo to be installed. For more information see the readme file. WEST tool allows creation of an FMU server to deliver the FMU in all confidentiality and security. The adaptive interface provides the possibility to do simulation with FMU both in model exchange and co-simulation mode. Upon finalization of installation, user can deposit new FMU into server and can get access to them via webservice. The tool now support FMI 1.0. A new version supporting FMI 2.0 is under development. You can download the WEST tool here. You can find more information about the WEST tool and its basic functionality in this Read Me file. Mosaik co-simulation demo: This software demo provides an executable scenario of the light-weight mosaik co-simulation environment including power flow calculation (based on PyPower), generation and load time series, a database module, and a visualization tool to analyze and monitor the calculation. Cyber-Resilience Lab Demo: Different software and hardware components are put together to develop a demonstration use case in which the resilience of a simplified cyber-physical system may be tested. You can find other ERIGrid open access tools for free download here.